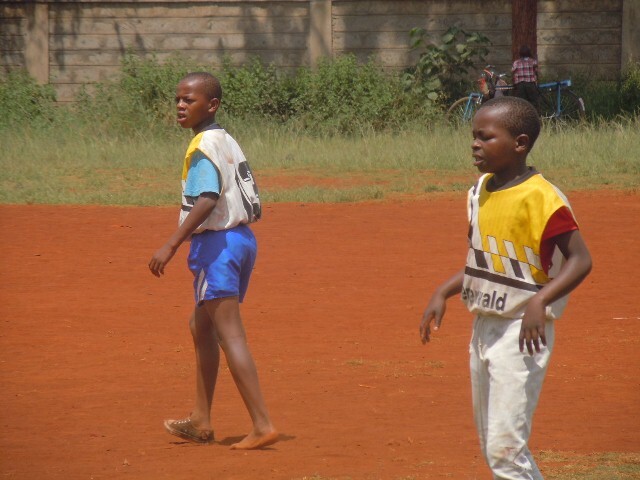 ‘Peace and Cohesion through Talent and Creativity’…the ICC way! 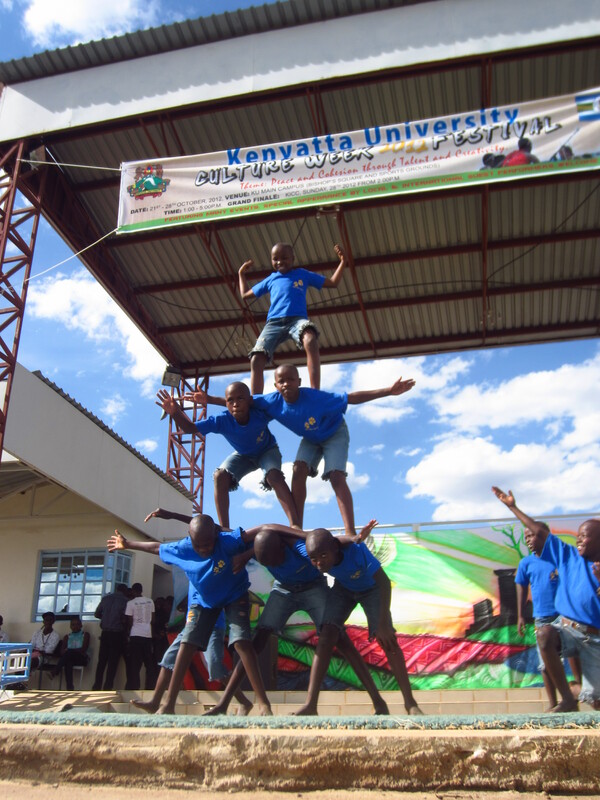 What started as another two strings in the versatile bow of the Interim Care Centre’s (ICC’s) extra-curricular timetable culminated this week in two performances to hundreds of people at the annual Kenyatta University Cultural Week. The culture week is an annual showcase based at the University between Thika and Nairobi, featuring a huge variety of performances from across Kenya and beyond, with this years’ theme sitting well with the mission and vision of AfCiC: “Peace and Cohesion through Talent and Creativity”. 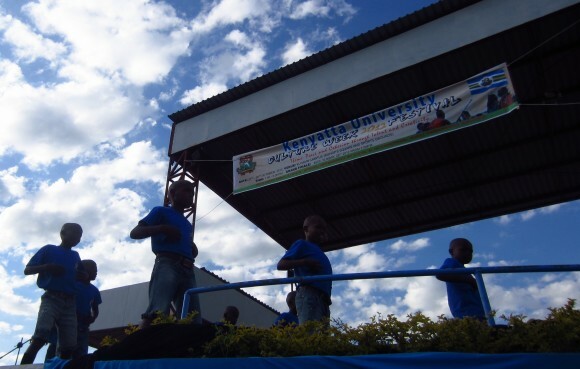 The week began officially on 23rd October, where an opening ceremony, attended by thousands of university students and spectators, welcomed an eclectic selection of comedians, tribal dances, choir performances and many other talented entertainers. After two false starts during the week, as well as an initial audition at the University earlier in the month featuring all 20 boys at the ICC, the dance troupe of Peter, Brian, Anthony, Samuel, Issac, the two Patrick’s and James, and the acrobatics team of Jonah, Kioko, Haggai, Mugandi, David, Brian, Patrick, Issac and James (some children did both! ), were ready to the take the stage on Thursday of last week. We were extremely grateful to Helen Harrison and other donors in the UK, who had provided some matching t-shirts for the boys, whilst some more donated jeans, cut off at the knees, kept up with some shortened belts, meant that the boys, both the dancers and the acrobats, really looked the part on stage. It was the acrobats who were to perform first, and the 9 boys were nearly faultless as they performed a serious of daring team manoeuvres, not once looking like nerves, enhanced by the two false starts, had crept in. Some performing with wide eyed smiles on their faces, others seemingly concentrating very, VERY hard, the boys seemed to really grow into the performance and alongside that growth, the crowd noise swelled, notably with a series of collective gasps as some of the human towers and pyramids rose higher and higher. 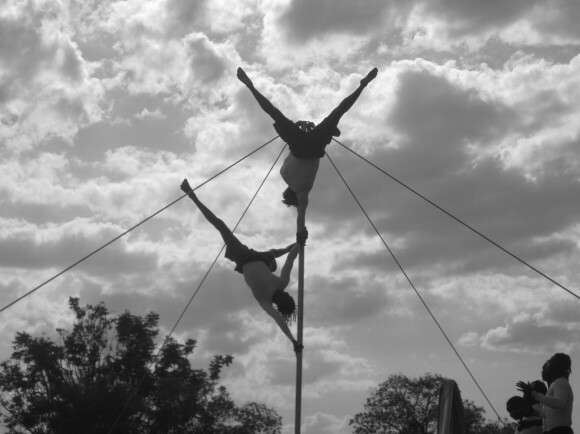 David, the boys’ twice-a-week acrobats coach, looked on proudly, along with the rest of the staff. Using very basic equipment including old mattresses, a used trucks tyre, as well as his own experience of life on the streets and performing in his own acrobatics team, David has worked wonders with the boys and we are lucky to have him helping us at the ICC. The boys left the stage, after taking a well-deserved bow, to rapturous applause; as big, if not bigger, than the most popular acts on the first day, and they looked so happy as they ran off stage looking for people to celebrate with. An hour then passed, filled by some other excellent performances, most notably another acrobatics team from Nairobi (see right), who seemed to defy gravity as they rose up a pole placed in the middle of the stage. However, it was now the dance troupe’s turn. 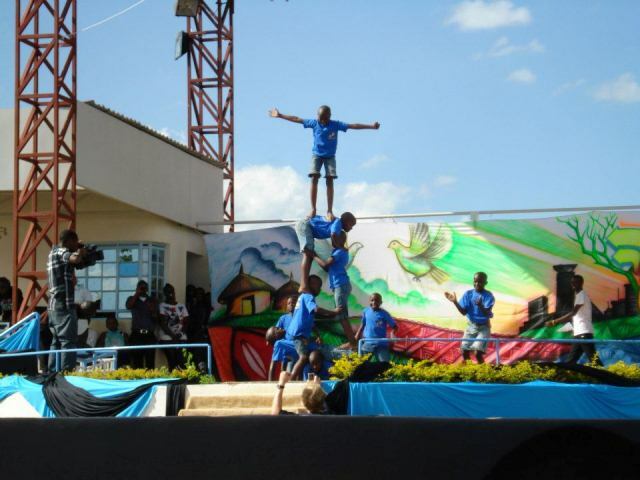 Their routine had been expertly choreographed by the BGP Dance Crew, who have been coming into train the 20 current children twice a week at the ICC for the last 4 months. The 8 boys chosen to perform the routine were also enraptured to see their BGP idols perform their own routine on stage just moments before, and their excitement was they took to the stage was clear to see. Like the acrobatics, the dance routine was performed flawlessly, and the crowd once again responded heartily, really encouraging the boys to raise their game, and what a game it was. Whilst not maybe performing moves of the same technical difficulty as their mentors, the boys were amazingly in sync, and again a few special moves saw the crowd again respond emphatically, with cheers resounding from the now buyout crowd. It was trilling to see both performances so well received by both the crowd and other performers alike, and the boys were all bouncing for the rest of the day. So captured had been the imagination of the onlookers that Q-TV, a television channel owned by the National Media Group, asked for an interview with the boys and one of their main teachers at the ICC, Margaret. You will see from the picture that the boys reacted in a combination of bemusement, excitement and nervousness, though for all, it will be a really positive memory for them. The interviewed screened last night (Sunday 28th October), and it was clear from the reactions of the interviewer, and those we spoke to during the day- that they couldn’t quite believe this neatly turned-out group of very talented young boys had only recently been living or working on the streets of Thika and its neighbouring towns. Not only have these performances provided a great spectacle for the kids and some amazing memories for them, it has also been a great time to highlight the much varied work that we are doing at AfCiC, and how without the support of partners, fundraisers, donors, local businesses, the staff, and the volunteers, we wouldn’t be able to provide such a wide ranging programme of assistance to both children who live and work on the streets in the Thika and its environs, but also to the families, communities and institutions that can help to prevent children having to resort to the streets in the first place. We greatly welcome the participation of all involved, be it by giving time, giving money, giving food, giving guidance, and we are always, always in need of more help, to help us not only consolidate the work we are already doing, but also to build new, exciting projects in the future. If you want to get involved with anything in the future, please do check out our website and look at the myriad ways in which you can help.